A few weeks ago, despite the fact that we recently put some logs back there that we flip every other day (it introduces a bunch of new bugs for them to munch on), Paul got worried that the chickens were getting “bored”. Considering the fact that, after a year and a half of living in that pen, they regularly try to run through the chicken wire to get back into their coop, I am not too concerned about keeping them mentally stimulated. But Paul was, and he did his research (he googled “bored chickens”) and found that apparently chickens love dangling vegetables. Specifically, cabbage. If you hang cabbage about a foot and a half off the ground, the chickens will peck at it all day long. 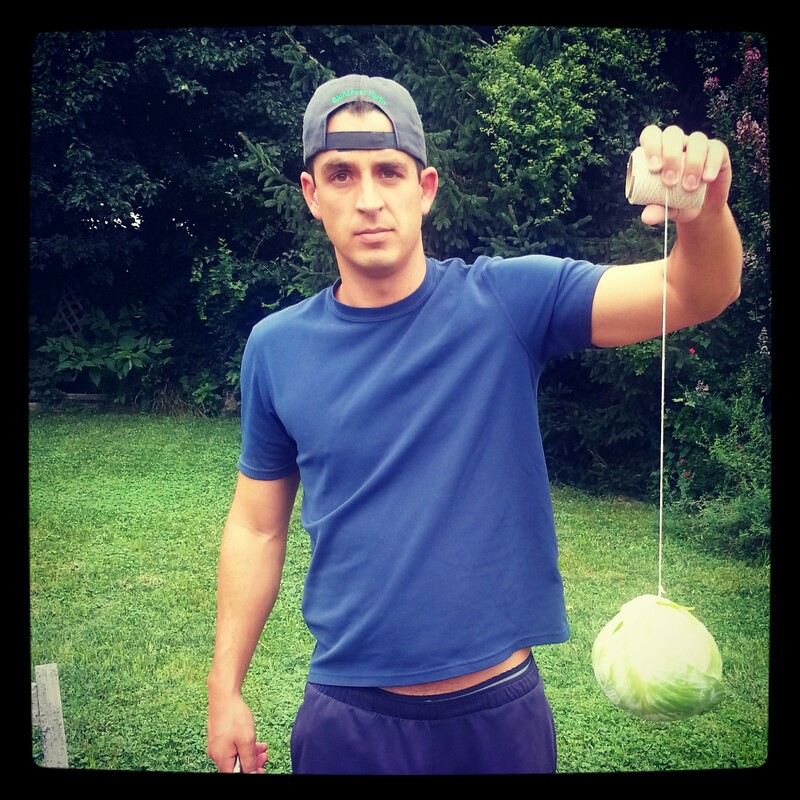 …and now we have a head of cabbage suspended in the middle of the chicken coop. And the chickens are entertained. 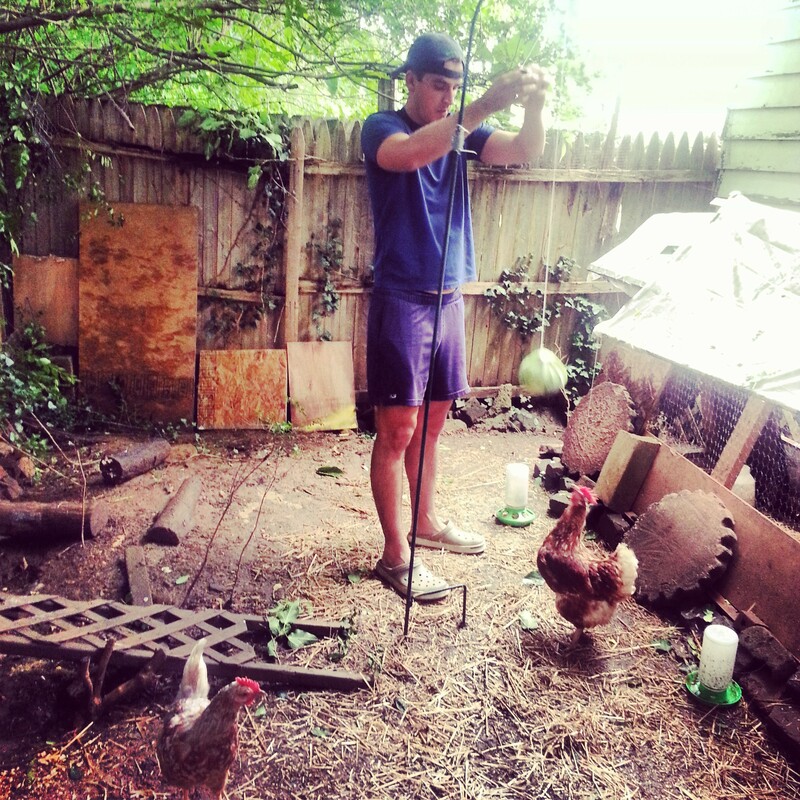 your chickens play tether ball? You are currently reading Flying Cabbage at Rambulatory Ambulatory.